Those of you who have been following our news feed will have seen the handbag amnesty we held in March to raise money for Rainbows children’s and young people’s hospice in Loughborough. 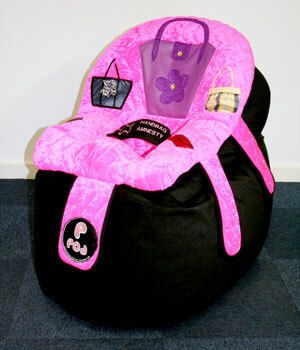 We raised a total of £400 and donated a special ‘handbag’ edition P Pod to the centre. As a result SOS were invited to visit the hospice to see more about the incredible work the Hospice does for the community. The centre overlooks the countryside and has a large garden with wheelchair friendly outdoor play facilities including swings and a roundabout. All of the bedrooms are on the ground floor for easy access. 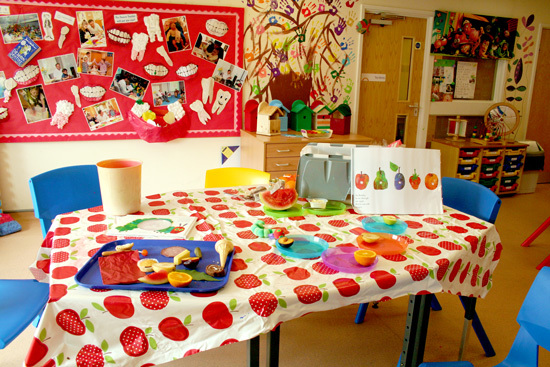 As we walked around the facility activities were ready to go including a sensory version of The Very Hungry Caterpillar where the children can enjoy eating, smelling, touching and feeling their way through the story. The facilities at Rainbows include a music room, hydrotherapy pool, gym (with specialist exercise equipment), sensory room and living areas open to parents and their children. 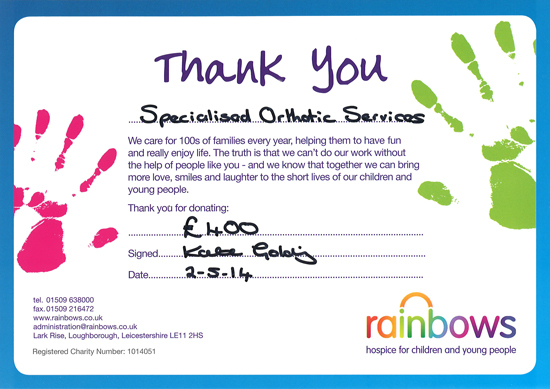 The staff and those who support Rainbows have worked hard to help fund and manage the fantastic facility. Families of children and young people with special needs can visit, stay and relax in complete comfort and safety. Medical staff, therapists and carers visit and work at the facility every week meaning help is on hand when it is needed. So where is the P Pod? 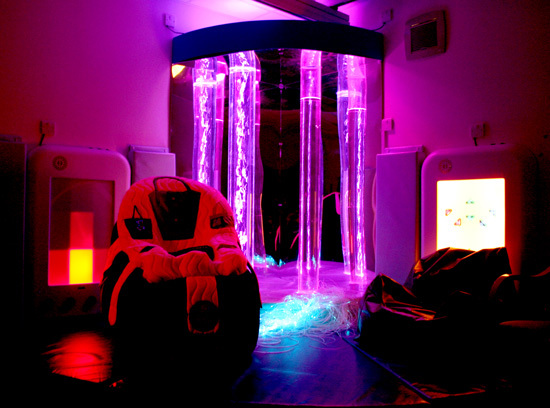 After walking around the facility our eagle-eyed cameraman spotted the P Pod in the sensory room. The bright pink covers glowed under the UV lighting. The new P Pod means that children can sit and relax out of their wheelchair with postural support. The room features a giant music player, bubble tubes, multicoloured lighting, and a projector with games and sounds. SOS is hoping to continue our support for Rainbows into the future.